Want to earn money by taking surveys online? This is what MySurvey claims to offer. But is MySurvey legit and a great way to make some extra cash, or is it one of the survey scams that is just a waste of time? In this MySurvey review you will find all the details about what this survey panel has to offer, so you can see and judge for yourself whether it is worth your time or not. What is MySurvey and what does the site offer? MySurvey has existed since 2001, so it has been around for a while. It is a part of Lightspeed Research, which is a big company within digital data collection, and it is the same company that runs the popular survey site GlobalTestMarket. The company is a part of ESOMAR, which is a not-for-profit organization that promotes the value of market, opinion and social research and data analytics. So the foundation of MySurvey is definitely ok, and it is not a scam site. 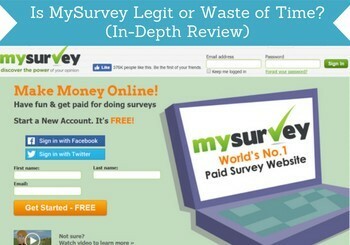 MySurvey is a legit survey panel, where you can actually get paid for the surveys you take. If the opportunities are then good enough to be worth your time depends on your preferences and expectations, so let’s look more into what opportunities the platform offers. MySurvey is first of all a survey site, and this is the main way to earn here. In general the advantage of sites that mainly offers surveys is that they are usually very easy to use and get started with – that also goes for MySurvey. Once you have signed up and confirmed your email address, you will receive an email invitation, when there are available surveys. As with any other survey site, you will not qualify for all the surveys you are offered on MySurvey. On MySurvey it can take a bit of patience to find the surveys you qualify for, but this very much depends on the country you live in and your profile. Some countries and demographic groups just have more surveys they qualify for than others, so do not let it stop you, if you do not qualify for some of the surveys. If you find yourself never qualifying at all, it might be that MySurvey just does not have a lot of offers for your specific country and demographic group, and then you can check out some of the top survey sites in your country instead. MySurvey runs monthly sweepstakes, where you have the chance to win some nice extra rewards – usually the prizes are around $100. You can participate just by being a member. Some surveys you take will give you entries into the sweepstakes, but you will also get entries just by being a member. But in general the more active you are, the more entries you get, and the bigger chances you have of winning. The exact prizes and the amount of sweepstakes might vary from country to country. But if you are an active member, it is a nice extra chance to win some good rewards. Sometimes MySurvey offers product testing for its members. It means you get to test a new product in return for giving feedback and your opinion about the product. In most cases you get to keep the product after testing it as a reward and thanks for the help. If product testing is offered in your country, it can be a great way to get new products for free, and something definitely worth considering joining, if you get the chance. You can invite your friends to join MySurvey, and as a thanks for that, MySurvey will pay you a small reward. The reward for inviting a friend will usually be around $1.50, and you will get the reward once your friend has joined and confirmed his/her membership and started taking surveys. It is not a huge amount of money you can make like this, but if you know friends or family that would like to join the panel, it is also nice extra cash to get just for sending them an invitation link. Now we have looked at what earning opportunities MySurvey offers. But another important aspect of any survey site is of course also how you get paid, once you have accumulated some cash/points. MySurvey luckily offers some good payout methods. 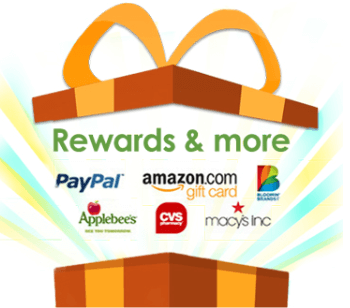 You get paid in points whenever you take a survey, but these points can then be exchanged into a number of different rewards like for example cash through PayPal, Amazon e-certificates, gift cards, and products. The exact selection of rewards depends on the country you live in, but in more or less all countries you can get paid through PayPal – personally this is my favorite payout methods, when it comes to survey sites, so I am always happy to see this as a payout option on survey sites, as it is very easy and fast. Some of the other rewards are however also really great – it all depends on your preferences, and it is always good that there are different options. You can also choose to get paid through PayPal once, and then the next time get a gift card, so in that way it is a flexible panel, when it comes to the payout methods. When you can request a payout depends on the reward you want. For PayPal the payout threshold is around 1200 points ($10), which is an ok payout threshold for a survey site. The exact payout threshold can vary from country to country. How much money can you make on MySurvey? Paid surveys can in general make you some nice extra money on the side. But no matter which panel you join, it will not make you a full-time income or make you rich. This of course also goes for MySurvey. Compared to other survey sites, MySurvey does not offer quite as many opportunities, as it only offers surveys. But it offers a decent amount of surveys, and it is very easy to use the platform. So you can make some extra money on the side on MySurvey, but it is not one of the platform that has the most daily opportunities. It can still give you some nice extra cash, but if you want to have more opportunities, it can be a good idea to also join other top survey sites to increase the amount of surveys your are offered, as joining MySurvey as the only site will not give you a huge amount. Being able to use survey sites on mobile devices makes it a lot easier and a lot more user-friendly to use them. It gives you the opportunity to easily keep an eye on the newest opportunities and take surveys in small breaks during the day. MySurvey has developed an app that makes it very easy to use on mobile devices. MySurvey has an app that makes it easy to use on the go. Personally, I think survey sites that has an app are great, as it gives very fast and easy access to the platform. Be aware that the MySurvey app is not available in all countries. In the countries where the app is not available, you can however still enter the website on your phone. It is not quite as fast and as user-friendly, but it still works. MySurvey is a global site and is available in many countries, but it is not available in all countries. It actually just recently closed down its websites in a number of countries and those sites are now instead directed toward GlobalTestMarket, as I mentioned earlier is a survey site run by the same company. But there are still some countries where ít is available and offers decent opportunities. The countries it is available in includes: the US, UK, Canada, Australia, Ireland, Spain, France, and Germany. In each of these countries MySurvey offers a specific platform just for that country and in the local language. So if you live in one of these countries, MySurvey is a possibility. Being able to get help, if you have an error message or something is not working is important on a survey site. Hopefully you will never need it, but it is good to know it is there in case you one day need help. And having a good support also shows a lot about a company. If you should need help on MySurvey, you can get it in several ways. Once you are logged in there is a help center, you can use to get help. If you are not logged in or cannot login, there is a contact form on the website. Exactly where the contact can be found varies from country to country. 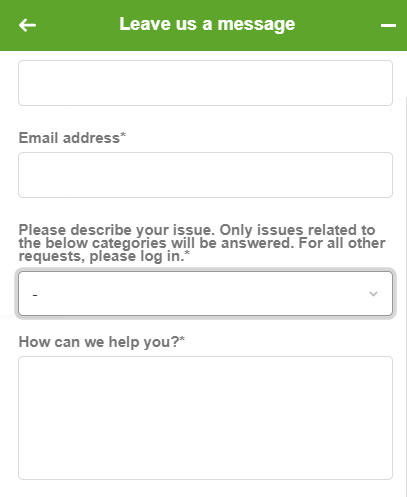 MySurvey has several ways you can contact the support. On many of the MySurvey sites, you can find the form/help button in the right bottom corner. MySurvey also has a Facebook page, where you can contact them. It does not look like the support are very active in responding to messages written as a comment on their posts, so if you need help, this is probably not the way to go. But you can send a personal message to them on Facebook. I have not had the need to contact the support myself, so I cannot say for sure how quickly they will get back to you. But in case it takes too long, it is always good to know there are several ways to contact them to make sure it is not because your message has been lost. MySurvey has both some good and some not so good sides. So let’s sum up the pros and cons to get a better overview. 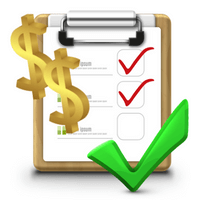 Overall, MySurvey is a legit survey site that can make you some extra money. It is available in the local language in the countries where it is available, and it is easy to use. It is however not the site with the biggest amount of opportunities. But as long as you are aware of this, and if join it in combination with other survey sites, it can be a good panel to join. It is easy to join MySurvey. You just click the button below, and then you are taken to the website, where you have to fill out a short form, and then you are a member. Make sure to choose the right country – if not you can still fill out the form only to be told at the end that you cannot sign up. Hope this review has helped you decide whether MySurvey is the right survey site for you to join or not. If you have any comments, questions, or have any experiences with MySurvey yourself, I would love to hear from you in a comment below. MySurvey is a legit survey site with a reputable company behind it. It might not be the survey site with the most available surveys, but it has a decent amount and is very easy to use, so can still be worth signing up for. hi mikael, its me darlene again…I am very disappointed in Mysurvey. Their customer service is very slow responding to tickets and when they do, they either say you have to wait so many weeks before credit is given and I have passed that time or they give a reply that makes no sense, like giving me details about using app on my phone, which I dont use. They owe me for 2 big surveys, 1000 and 900 and a couple others. What do I do? They are not answering my replies since the other answers and have put on the tickets …solved…they are not solved. I have not gotten my points. The 900 are for a home survey even…I don’t understand, all this work for nothing. I am tired of sending requests to them. Can you suggest something, please? Sorry to hear that Darlene. I actually just a few days received a message saying that MySurvey for the US will be replaced by a new platform – this is supposedly also the LifePoints platform you mentioned to me earlier. So looks like the platform in the US might be changing and maybe that is why the support there is really slow because they are busy. I will keep an eye on this and check out the new platform when it launches. My suggestion would be that you try to contact the company behind MySurvey and make them aware that you are having problems with getting in contact with support. The company behind is called Lightspeed. Hope they can help you so you can get your money soon. yeah, i was just gonna tell you that, and it seems to me global test market was going with them too, i dont remember i have to look it up. if you added the points together 2200 points, i can get 5 in pp for every 600 , so yes these diaries were long and one was home test, i want my points. Yes, you definitely deserve those points. Really hope you manage to get a hold of them and get your money. Sorry to hear that Darlene. But good you still have your paperwork. Hopefully, that will help to convince them to pay you. Please people, dont get me wrong, mysurveys is a reputable company and has paid me, but i am having a issue with them PERSONALLY on some payments, but all in all, please dont go by this, they do pay. MySurveys is unfortunately not available in Albania. But you can check out my list of the top 10 paying survey sites. Several of these are available worldwide, and you will therefore also be able to join them from Albania. Hi Mike; My Survey seems to be an active survey site that helps some unemployed people stay busy. The countries you listed for legit does all of them merge survey with my survey, so that people from those countries can work directly with My Survey? Let’s say My Survey is available in the state I live, can I stay home and make a living from taking the survey of this company? Yes, if you live in one of the countries where MySurvey is available, you take the surveys on that site and get paid through MySurvey directly. You should in general not expect to make a living from taking paid surveys. It can give some nice extra cash on the site, and it is very easy to get started, but it will not make you rich. The sites that promise you to become rich or easily make a full-time income on them are usually scam sites, where you will end up losing money instead.